Remember that baby chick I had in my pocket a few weeks ago? All of us watch out for her and she’s quite the spoiled chick. Phetsile has named her Luthando, isiZulu for love. She really loves hanging out on people’s shoulders. Watching babe with her was the funniest thing. Then she spent some time with me. 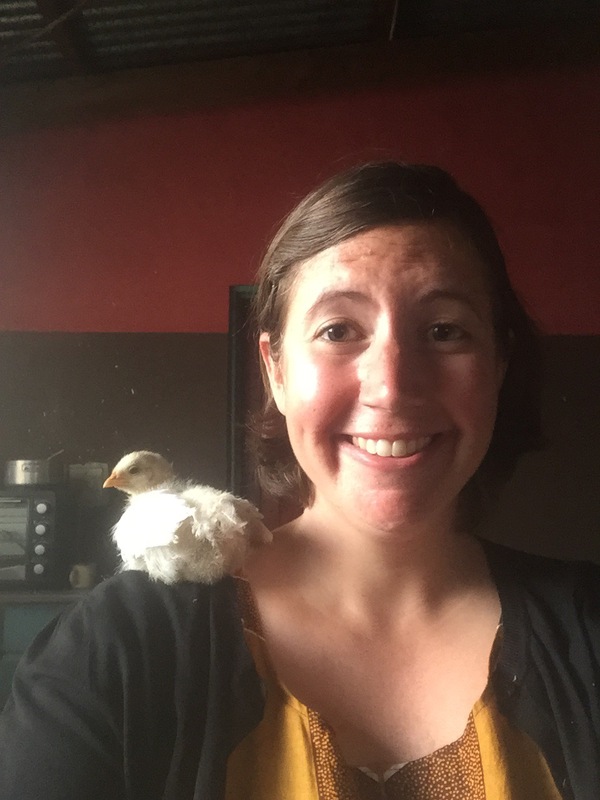 This entry was posted in Africa, Peace Corps, Swaziland, Wednesday photo and tagged Chickens, Farm life, PCV, Peace Corps, Peace Corps Volunteer. Bookmark the permalink. Thank you, Lucinda! You would love this chick!